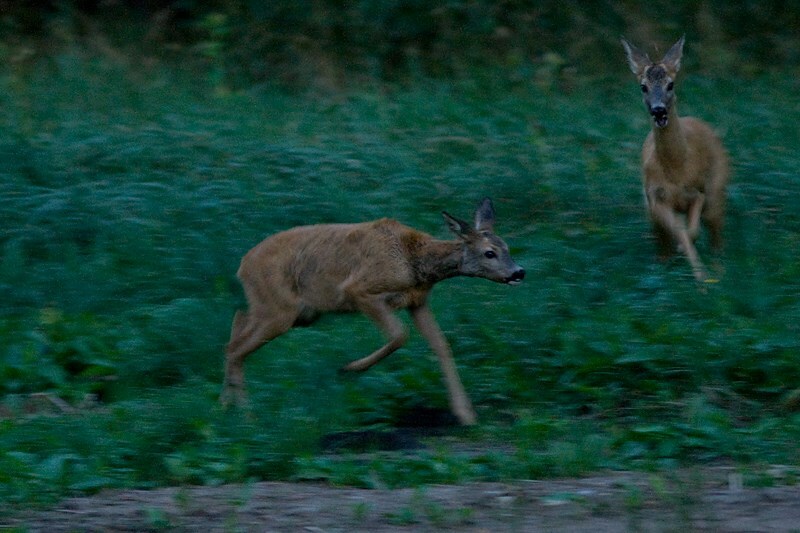 Roe deer is one of the most common sights in Estonian wildlife. Of the subspecies of roe deer, only one can be found in Estonia – the European roe deer, capreolus capreolus. Those Estonians who have not encountered a roe deer herd feeding on a field next to a highway or crossed paths with the roe deer in the forest, have at least seen the roe deer sculpture in Nunne street in Tallinn. 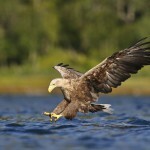 This animal, a familiar sight for many Estonian wilderness-lovers, has some traits that are in any case worth remembering. Like many others, one of the most graceful animals in Estonian forests, loves to move around in hours of darkness and twilight. The best time for observing roe deer is around sunrise and sunset. Going out for yet another photo-tour half an hour after the sunset, I have seen two roe deer fawns forgetting themselves in a cheerful game. On the banks of a canal, they were chasing one another playfully and testing their skills of fighting – an expression of pure, youthful joy and enjoyment of life. As a photographer, of course, I was challenged to test my skills of setting the exposure and not shaking the photo in the duskiness. The Estonian name is misleading! The name “metskits” – “forest deer” in literal translation – might lead us to somewhat inaccurate conclusions regarding the habitat of the species. The representatives of the capreolus capreolus species do not actually even like thick forests and large forested areas. For this reason, the population of roe deer is known to be considerably lower in, for example, Alutaguse than other places. Altogether, there are approximately 40 000 roe deer in Estonia. 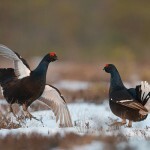 As a habitat, they tend to prefer smaller forests next to fields. For those interested in roe deer photography, such places – forested areas near creeks, ditches and fields – are the best bet. 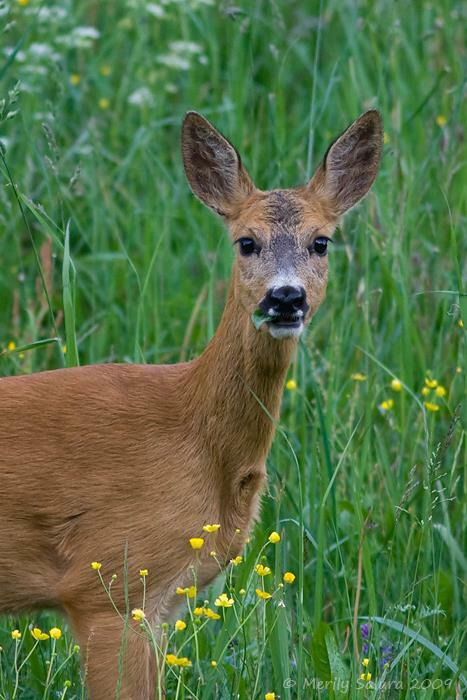 Roe deer have a reproduction strategy known as delayed implantation (embryonic diapause in biology). This means that rut takes place in July and August; after the fertilization of the egg, the development stops for some time. The doe gives birth in late May or early June in the following year. So, the embryo remains at a certain state of development from the rut up until late December. A week after being born, the fawns are capable of following the mother. By the time the mating period starts, the buck drives the fawns away from their mother. 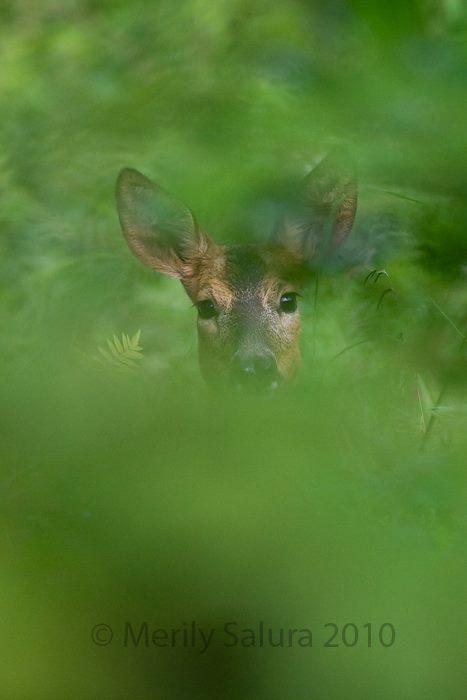 During this time, one can spot roe deer fawns exploring the surroundings curiously, observe roe bucks fighting and/or see the circles that the bucks have made on the fields or in the grass by chasing the females. The roe bucks bark – loud! On another summer evening in the forest, I saw two roe bucks by the ditch. We shared a look for a moment in silence. The silence was suddenly killed by a loud bark, sounding both husky and sharp at the same time. It sounds like someone screaming. Few experiences in the forest can be more unexpected and frightful than this! The sensation of heart skipping a beat made it difficult to take a sharp photo. The next times, I already knew. But the sound still had me jumping! Also – when moving around in the forest, not to feel strange if there is a feeling of being watched. This is probably exactly what is happening; it could be proven by a pair of big, dark eyes appraising you through the brush.